Ideal for: Whiz kids who want the newest tech toy to working professionals who need to stay on top of emails. The small form-factor (it has a 7.9-inch [20-centimetre] screen) allows you to handily carry the device while the screen is large enough for easy readability. What we love: It has optional cellular connectivity. You can reach up to lightning-LTE speeds, all without a contract or long-term commitment from the wireless carrier – just pay what you use. Breakthrough features: This tablet is Apple’s smallest – measuring 23-per-cent thinner and 53-per-cent lighter than Apple’s iPad 3, and can fit in the palm of your hand. What’s disappointing: With Apple focusing on keeping it affordable, the mini lacks a high-resolution retina display, a regular feature on other tablets like the recently announced Google Nexus 10. Ideal for: Budding videographers and photographers in your life – novice to professional. What we love: The mirrorless technology gives you the stunning image quality of a DSLR camera with the convenience of a point-and-shoot, minus the bulk. Plus, the APS-C-sized CMOS image sensor makes it a lightweight to tote. Breakthrough features: With the new stepper motor built into the lenses (they’re included) the Spielberg in your family can capture HD movies in 1080p. The autofocus setting means you can simply hit a button and record up to 44 minutes of HD footage on a 16GB SD card. Now you’ll never miss another birthday or graduation. What’s disappointing: Theabsence of traditional, standard digital camera features like a viewfinder and built-in flash; you have to carry a separate flash unit (included in the kit). Sony VAIO T13 with Windows 8, $899, at most electronics retailers. Ideal for: Those who thrive on processor power and need a machine that can take some abuse (it’s made out of durable aluminum and magnesium construction), all with an affordable price tag. What we love: You can experience Windows 8 in all its speedy glory. Its elegant build, excellent battery and moderate price point makes this computer an overall mid-range laptop. Breakthrough features: It comes equipped with all the bells and whistles like a full HDMI port, Windows 8 and a generously spaced keyboard. The touchpad supports multi-touch gestures and allows you to scroll and pinch-and-zoom photos. What’s disappointing: This computer measures heavier (1.5 kilograms) than rival computers in its category. The keyboard isn’t backlit and the fan can be intrusive. Samsung GALAXY Note II, $599.99 no term, at major wireless carriers. Ideal for: The consummate traveller who needs a mobile office. It’s only 5.5 inches [14 centimetres], eliminating the need for both a smartphone and a tablet computer. What we love: It’s a smartphone/tablet hybrid with a large, vibrant HD Super AMOLED 5.5-inch screen giving you quality and quantity. The included S-Pen allows you to be creative: draw fun pictures and take notes on the large screen. Breakthrough features: While other phones have similar motion-gesture features, Samsung has perfected it to integrate directly with the operating system making it easier to use: silence calls when the phone is flipped over, and just shake to connect to Bluetooth. What’s disappointing: The larger screen may be a tight squeeze for your pocket or your clutch. LTE data is battery-intensive, so turn it off when not in use. BlackBerry PlayBook 4G LTE, $549.99 no-term, at major wireless carriers. Ideal for: The workaholic who can leave his or her laptop behind, but still have access to email, media and productivity tools like Microsoft Office via Documents To Go, or the teen who doesn’t like waiting for movies to load before watching them. What we love: It’s the size of an e-reader, but offers more features such as 4G LTE and Wi-Fi connectivity, a wide-selection of apps from Blackberry App World, two 1080p HD cameras and HDMI. It also brings the BBM service to a bigger, tablet-sized screen. Breakthrough features: The BlackBerry Bridge app allows you to switch between your BlackBerry smartphone and PlayBook – giving you access to a larger screen. wide-selection of apps from Blackberry App World, two 1080p HD cameras and HDMI. It also brings the BBM service to a bigger, tablet-sized screen. What’s disappointing: It’s designed to work with a BlackBerry smartphone via the BlackBerry Bridge application. iPhone or Android users may not appreciate the unified BlackBerry experience. Kobo Arc, $199.99, at Indigo. Ideal for: The literary aficionado or student who doesn’t want to tote around a dozen books at a time. What we love: Kobo has one of the largest e-bookstores (access to over three million e-books — one million of which are free!). Its dual-core processor allows you to turn pages without lag, smoothly surf the web and speedily check your emails. Breakthrough features: It’s not just your personal library. It allows you access to movies, music, apps and games — all in colour, and lighter than a traditional computer. What’s disappointing: While it hasadditional tablet capabilities (load apps, music and movies), this shortens the battery life. Ideal for: Families making the big upgrade for the family den, or a new toy for Dad’s man cave. What we love: This sleek LED TV features Sharp’s Quattron four-colour technology, including a full 3D-2D conversion experience. The 240Hz edge-lit LED panel means your TV will deliver a natural and vibrant picture. Breakthrough features: SmartCentral, Sharp’s link between TV and the Internet. Through Wi-Fi, you can download and access some of your favourite social apps or surf the web – all from the comfort of your own remote control. What’s disappointing: The steep $2,699.99 price tag. In the age of cellular phones, the Internet, and portable tablets, paying the typical $40 or more a month on a traditional landline just doesn’t make sense anymore. While many have rid their landlines – opting for their cellphone as a main means of communications – others are still yearning for the tangible feeling of a desk phone, or the classic ring of an office line. While we’ve seen IP phone services like Vonage and MagicJack – my experiences with them have been rather grim – they’re often clumsy and complicated to set up involving the use of a computer. In the United States, the Ooma Telo has proven very successful as an Internet-phone solution for the home/home-office. Calls are routed through their servers, and all you pay for is the unit that connects to your router, bringing your calls online; and the mandatory government access fee in your province or state – it works out to less than $4 a month here in Toronto. I was given the opportunity to review the unit thoroughly over the past couple months, and below are a few of my thoughts. When I first received the Ooma Telo, I was extremely impressed at how simple the setup process was. There were only a few items: the Telo unit; a power adapter; and an ethernet cord. C’est tout. That’s all she wrote. For the first time, I did have to plug the Telo into my computer to set it up on my home network. For the typical computer-user, this is an extremely simple and straightforward process; You put in your personal information, your credit card info, and you’re given a phone number. The system was designed to be set up next to your router, but if you’re like me and wanting to use your phone near your office desk, you can purchase a Wi-Fi adapter for an additional cost of $50. I highly suggest it as it dramatically improves the portability of the Telo; allowing you to place your phone anywhere. Virtually, you can set up your phone anywhere there is a power wall-outlet. I did experience several minor issues while setting up my Ooma Telo unit. I had trouble setting up the Ooma Telo Wireless adapter. At first, the ethernet connection would work flawlessly, but the wireless functionality wouldn’t connect to the Ooma servers, even when it was still connected to my home network. It turned out that I received a faulty unit; however Ooma gladly replaced it for a functioning one. My other issue – still remaining unsolved – is the caller ID format when placing calls. Typically when making a call, the Canadian caller ID follows the “+1 (416) 555-1234” format (including the International ID). When making a call from a cell-to-landline, landline-to-cell, cell-to-cell, or landline-to-landline, it follows that exact format. Notice the “1” missing from the phone number, throwing off the proper format of the phone number. What this means is that the phone is recognizing the “+41” as the International ID – in this case, Switzerland – when it really should be “+1” (North American International ID); “416” (Toronto Area Code); and “555-1234” (phone number). Essentially, what this means is that if you have the phone number in the contact list with the “+1” International ID added (i.e. “+1 (416) 555-1234”), the contact won’t be recognized when the incoming call is received, and your phone will think that it is a long-distance call being made from another country – from a different number (“+41 6 555-1234”) – Switzerland (+41), in this situation. I’ve attempted to make support calls to ask about this, however every attempt has proven inconclusive, with no firm answer given or explained to me. I hope this issue will be resolved sometime down the road, as it can be rather irritating at times. Let me be clear, this is me being picky. This is in no way, a deal-breaker. Stay tuned for an update. This one is a no brainer. In the long run, you’ll be saving significantly more money, as you won’t be paying upwards of $40 or more a month with a traditional landline. Once the system has been setup successfully, Ooma Telo works just like a regular landline. 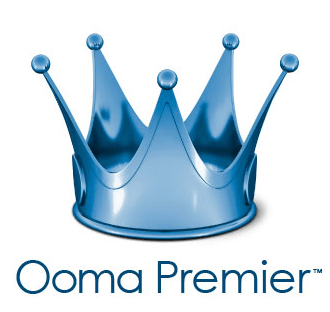 With the Ooma Premier service, you get a variety of advanced features including: Instant Second Line; Three Way Calling; Multi-Ring; Back-up Number; Google Voice Extensions; and FREE calling in both United States and Canada. Ooma Premier is $9.99/month or $119.99/year. You gain a truly reliable service with LIVE support when you need it. Again, all you pay for is the unit itself, as well as the additional mandatory government costs in your province or state. Inexpensive International calling rates all around the world. Whenever you need to reach out abroad, Ooma provides you the functionality at very competitive rates. Now you can stay connected without emptying your wallets. You can port your current phone number at an additional cost. They do all the work for you; and you sit back, and relax! You will require more space as the Ooma Telo unit will need to sit next to your phone. If you’re tight on space, this may not be the option for you. It is recommended that you have a solid, high speed Internet connection. If you Internet connection is weak, this may compromise your sound quality. Setup may require a relatively computer-savvy individual. This unit isn’t exactly “plug-and-play,” and having general knowledge of a router is important for troubleshooting. I was a little skeptical at the beginning. I wasn’t sure whether the unit was going to present problems with my current Internet setup, as well as whether it would simulate all or most of the functions on a regular phone. I was extremely impressed with the features of their Premier service, including the Google Voice Extensions. I conduct my business primarily through my Google Voice phone lines; the Ooma phone did a phenomenal job handling high-volumes of PR and business related calls. As for the everyday consumer with the desire of having a simple phone line for calls to the family across the country, this is a great solution. You get solid call quality, an advanced voicemail system, as well as free calling right across the country – something you don’t get typically with tradition landline providers. 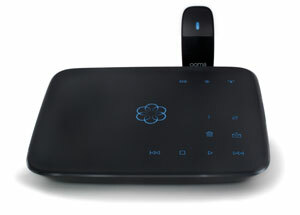 The Ooma Telo is now available at www.amazon.ca and London Drugs in Canada at an MSRP of $229.99 CAD. The Ooma Telo includes a one-year limited warranty, a 30-day money back guarantee and a free 60-day trial of Ooma Premier service. Additionally, live customer service will be available by phone moving forward in both English and French. This product was provided to me by the folks at Ooma for review purposes. I am in no way affiliated to them, and opinions expressed here are solely mine. Any questions, media related inquiries, and other information can be directed to me by visiting the Contact page above.